Soothe and energize your skin while removing oil and dirt for a balanced skin tone. 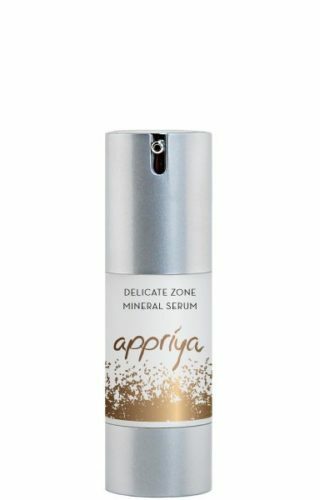 The mushroom extract in Appriya’s tonic acts as a natural astringent to tighten skin, diminish the appearance of pores as well as increase the skin’s natural radiance. This tonic is filled with a combination of ingredients containing plant growth factors, vitamins and amino acids to renew and refresh your skin. Sea acid leaves the skin looking as silky smooth as water. 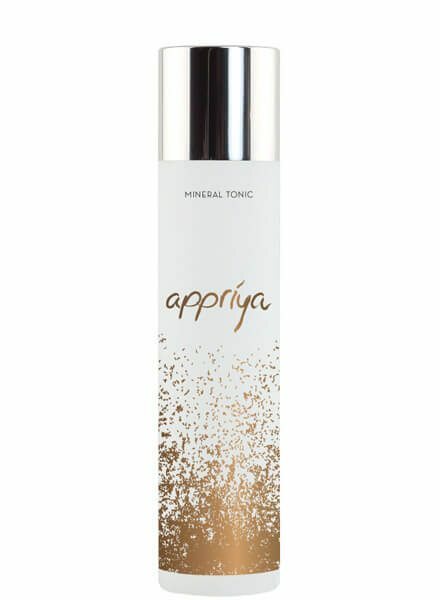 Apply the tonic generously to the face and neck during your day and evening skin regimen after cleansing. Continue use throughout the day to energize the skin. Evens out skin tone, improves skins moisture and reduces the appearance of acne. A cooling, healing agent that soothes and hydrates irritated skin. A natural astringent that tightens skin and diminishes the appearance of pores. Improves skin texture and hydration level. Exfoliates skin cells on the surface. Hydrates, softens and energizes the skin. Helps even skin tone and provides skin lightening. Combination of plant growth factors, vitamins and amino acids that promote stimulation of cell growth and helps with environmental factors that our skin faces daily. *See full list of ingredients here.